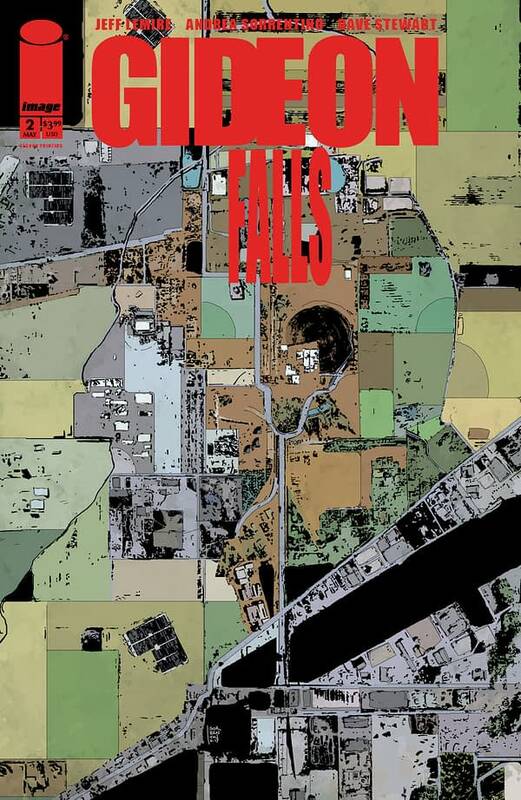 The latest issue of Image Comics’ hit series Gideon Falls, from creators Jeff Lemire, Andrea Sorrentino, and Dave Stewart has a serious defect. According to a press release sent out by Image Comics, the issue is prone to flying off shelves. It’s unknown what went wrong in the printing process that could cause a normally inanimate object like a comic book to take to hurl itself off shelves, but it must be an extremely frightening thing to witness, and if the store stocks multiple copies of the book, it could quickly devolve into a scene out of the movie Poltergeist. Perhaps the terrifying nature of this potentially supernatural phenomenon is why Image Comics has described customer demand as “frenzied,” as readers who enter a comic book shop looking to pick up the latest issue of Gideon Falls would naturally become agitated if they reach for the last copy of the comic and it suddenly flies off the shelf, eluding their grasp. Image should probably recall and destroy these cursed comics, but it turns out that in addition Gideon Falls #2 has also sold out, indicating that readers of the book are extremely dedicated, probably running around the shop and grasping at copies like game show competitors in a money tube. In GIDEON FALLS #2, the mysteries of the “Black Barn” heighten as the reclusive Norton begins to unravel new clues just as a murder spree breaks out in the town of Gideon Falls. But how is it all connected?! The puzzle pieces begin to fall. Image notes in their press release that Gideon Falls #2 can still be purchased on digital platforms, but of course then you run the risk of your phone, tablet, or computer monitor hurling itself across the room while you’re trying to read it, and that could be physically dangerous. We here at Bleeding Cool value your safety above all else, and Image Comics probably agrees, so you might want to wait until May 16th, when the second, hopefully flightless printing hits comic shops. Final order cutoff is Monday, April 23rd.